Canada is warning citizens to “exercise a high degree of caution” when travelling to China after a Canadian man was sentenced to death on drug trafficking charges. 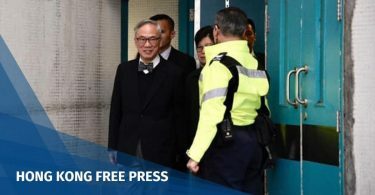 The revised advisory cautioned travellers of the “risk of arbitrary enforcement of local laws,” and noted that the “safety and security situation could change with little notice”. This photograph taken and released by the Intermediate Peoples’ Court of Dalian on January 14, 2019 shows Canadian Robert Lloyd Schellenberg (C) during his retrial on drug trafficking charges in the court in Dalian in China’s northeast Liaoning province. Photo: AFP/Handout. 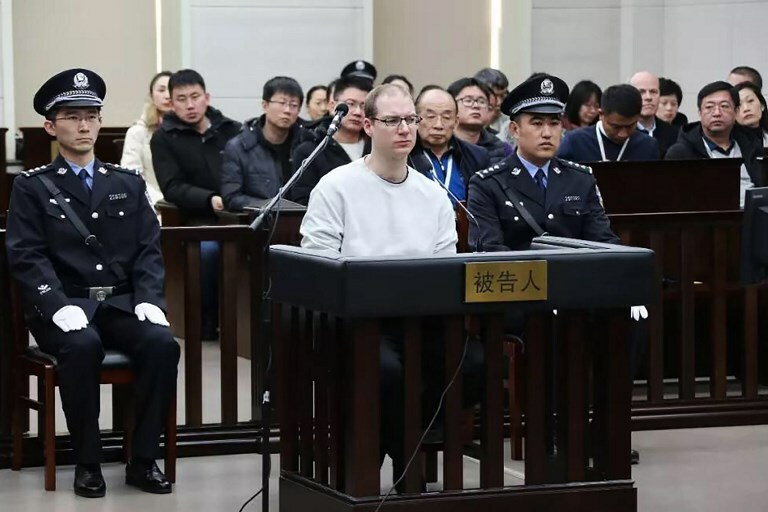 The update came hours after a Chinese court on Monday sentenced Canadian citizen Robert Lloyd Schellenberg to death on drug trafficking charges after his previous 15-year prison sentence was deemed too lenient. Schellenberg, 36, had appealed against the court’s original verdict. Canadian Prime Minister Justin Trudeau accused Beijing of “arbitrarily” using capital punishment, deepening a diplomatic rift between the two countries. The sentence comes against the backdrop of Beijing’s anger over the arrest in Canada of a top executive from telecom giant Huawei last month on a US extradition request related to Iran sanctions violations. Prime Minister Justin Trudeau reacts after a Chinese court sentenced Canadian Robert Schellenberg to death. 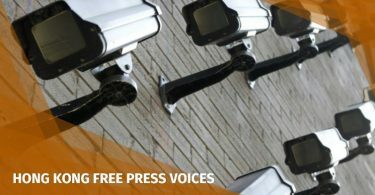 Chinese authorities later detained two Canadian nationals — a former diplomat and a business consultant — on suspicion of endangering national security, a move seen as retaliation for the Huawei executive’s arrest. Ottawa has called for the Canadians’ immediate release, with the backing of the US, EU and several western nations.